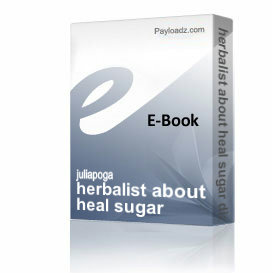 herbalist about heal sugar diabetes. Buy and Download > Description i asked about hers in sugar diabetes healing and herbalist adviced to take herbs in begin stage,sugar lows,anti-diabetes tea,in laten form. i asked about hers in sugar diabetes healing and herbalist adviced to take herbs in begin stage,sugar lows,anti-diabetes tea,in laten form.